who works as an architect during non-writing hours. 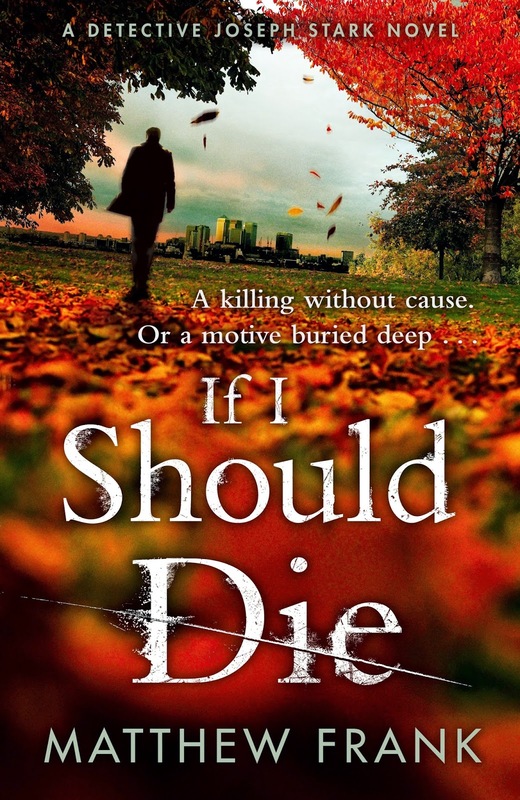 His debut novel, If I Should Die, introduces Trainee Detective Constable Joseph Stark, newly discharged from the Territorial Army on medical grounds following a firefight in Helmand. Swapping one uniform for another, Stark is about to discover that the criminals of south-east London can be just as taxing as the Taliban. I didn’t always want to be a novelist. As a child I wanted, among other things, to be a spaceman. As a teenager I wanted fun, food, female company and, if not a spaceship, at least some independent mode of transport. Becoming an architect in adult life was mostly accident, the path that emerged from the mist before me. Mostly through life I’ve happily followed my feet, chance and good fortune lighting my way. Thus I find myself a happily married father of three with an interesting job and hobbies I hardly have time for. Everything seems set. 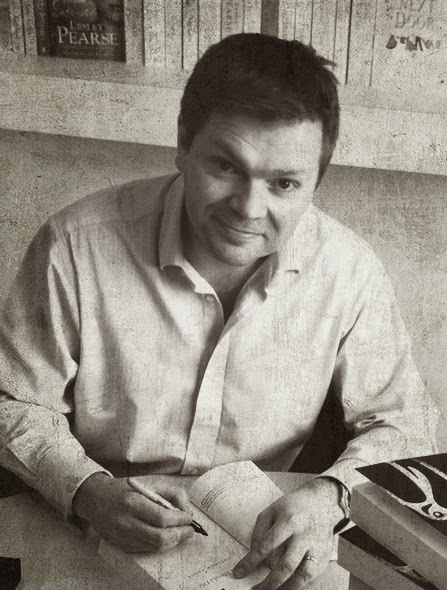 Why then, write? There was an initial spark but I’ve already covered that on my website blog. Nevertheless, I do have a theory about one of the shallower reasons. If, like me, you’ve lain awake at night constructing the perfect retort, the winning line you had neither the courage nor speed to summon when it mattered, then you might know what I mean: - Writing is a way of winning arguments. It allows me to put the perfect lines in my characters mouths, letting them say exactly the right thing, or wrong thing, when it matters. However, just when I think I’m in charge, my characters come up with lines I didn’t expect. I know that somewhat contradicts what I’ve just said, but it happens. As the dialogue flows through my fingers to the screen new thoughts pop into existence seemingly from the characters themselves, driving conversations in unexpected directions, often dragging the plot with it. To me this is one of the most enjoyable aspects of writing, as exciting as it can be disconcerting. I was trying to express some of all this whilst on my first ever ‘panel’ at Crimefest in Bristol a couple of weeks ago. The question asked was how carefully we authors mould the plot before putting pen to paper? Laura Wilson, who moderated, described two types of writers – ‘Plotters’ and ‘Pantsers’. Those who plot everything out and stick to it and those who fly by the seat of their pants. I start by making copious notes as ideas pop into my head until, impatient, I plunge into the writing. Like a general on the eve of battle I know what I want to happen but as the first bullet flies strategy goes out the window. If I get stuck I childishly skip to the good bits, having a whale of a time writing the exiting scenes, even the dénouement, before eventually grinding to a shuddering halt. At this point I draft a timeline – a simple chronological list of scenes in an attempt to join the dots. This usually ends up so riddled with notes and new ideas that I give up and, impatient again, return to writing the story that emerges from the mist before me, following my fingers, characters and sudden notions lighting my way. I look to the Plotters with admiration and envy, thinking of the time they must save. So next time out I plan to be a Plotter, but I expect the characters will mutiny and I’ll be flying by the seat of my pants again, and enjoying the ride. In the meantime I’m eternally grateful to be published and hoping it continues for a long time, though the child inside will always hanker to be a spaceman. You can find out more information about Matthew Frank and his work on his website and his blog. You can also follow him on Twitter @M_Frank_Author and he can also be found on Facebook. This novel looks intriguing. Excellent guest post!